I didn't realize how important this recipe was to me until one Friday night a few weeks ago when I was having drinks at a stranger's house. (By stranger, I mean a friend of a friend who I was meeting for the first time, and not a balding dude in an unmarked van-- CALM DOWN MOM.) After a few rum and cokes, we decided what many people getting downright drinksy decide-- we were HUNGRY and we wanted PIZZA. It's probably because every week, the roommate and I declare Tuesday as "pizza night", throw together this recipe, add whatever we have in the fridge by way of toppings, and devour the goodness while watching New Girl. It's our miniature kick off to the rest of the week. What's that? 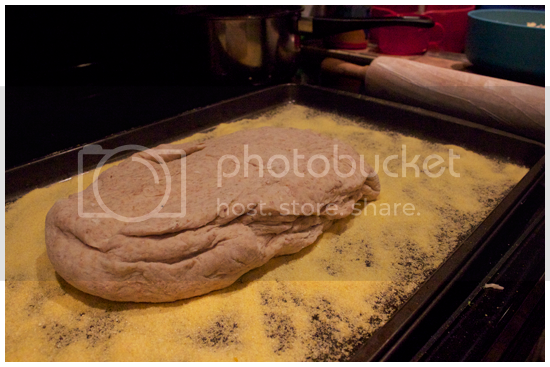 You still think pizza from scratch is a pain in the asiago? Well then: I swear to you, this recipe requires very little kneading, making dough at home is probably better for your health (blah blah blah), AND you get to be the smug guy who has enough kitchen skillz to make their own pizza dough at parties. Are we down? Good. Let's get cookin', yo! How much do I love pizza Tuesdays with Jess and the gang? Yep, that about hit the nail on the head right there. Makes 1 cookie sheet sized pizza. 1. 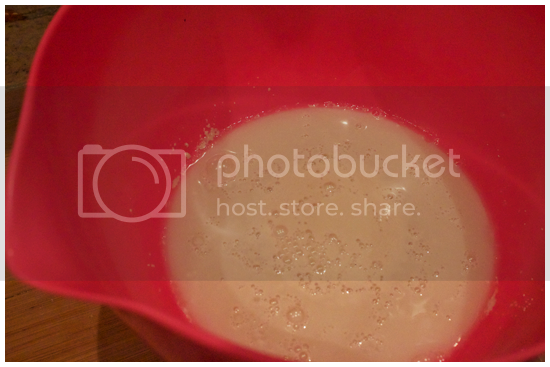 Pour warm water, yeast and pinch of sugar into a mixing bowl. 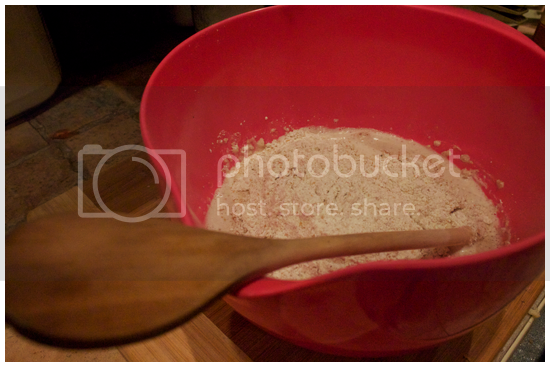 Whisk. 2. 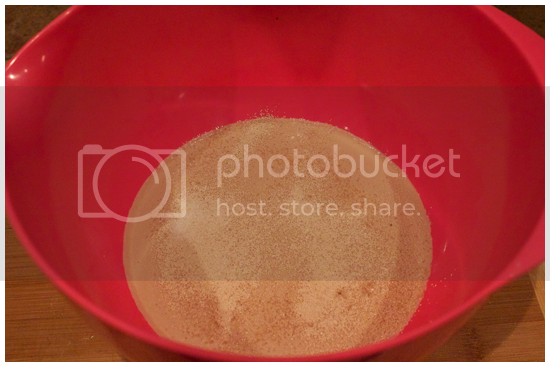 When the mixture gets bubbly (about 5 minutes), add the oil, salt and 1 1/2 cups of flour. 3. I find it's best to start out mixing the dough with the handle of a wooden spoon because it's sticky as hell and easier than clawing raw dough from beneath your fingernails, scraping it off your palms, and having a general breakdown over WHY, WHY DO THE PIZZA GODS HATE ME? Bro, chill and trust the spoon. 4. 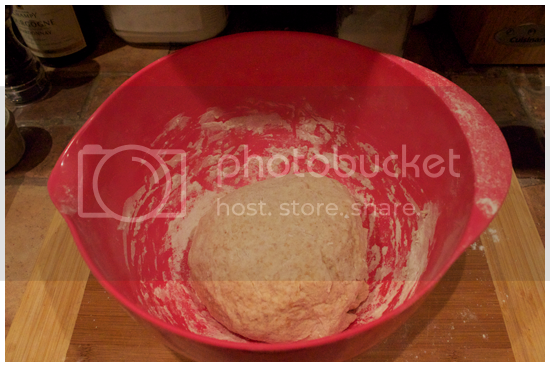 Now, the time of knead. 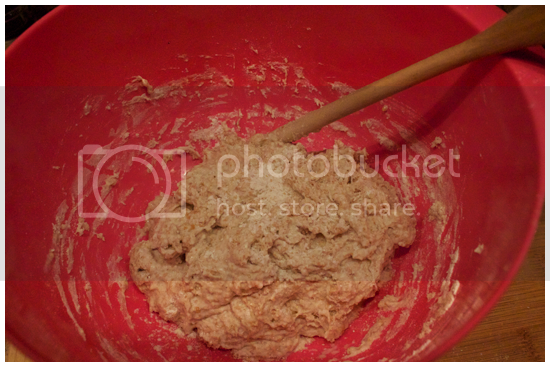 Adding the remaining flour, fold and knead it into the dough with your fingers, your knuckles and your British Bulldog determination. You should have have a neat, round ball to work with at the end of it all. Set aside for 10 minutes, minimum, to rise. 6. 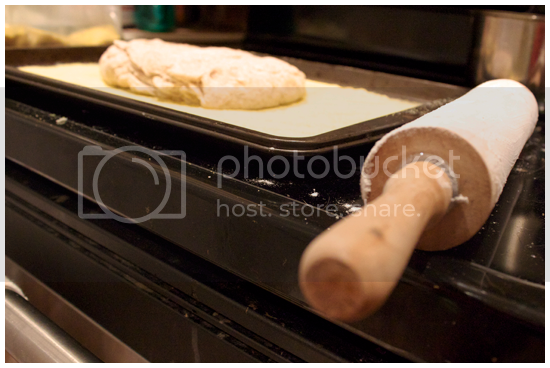 Roll out the dough on the cookie sheet to the edges, gently flouring the top if it is sticking to the rolling pin. 7. Now is the time to make art with your freshly primed canvas. Top with desired toppings (sauces and cheeses and meats, oh my) and bake for 30 minutes. Allow 10 minutes to cool, and then get cray with the eating and everything! 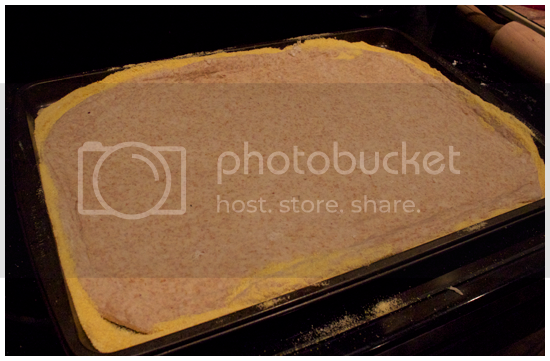 *You can use many different combinations of flour with this recipe. I've tried a combination of whole wheat flour & all-purpose flour (about 1 1/2 cups & 1 cup, respectively) as well as one made from only all-purpose flour. Don't be afraid to experiment, and if you come up with some brand new genius combination, leave me a comment, a tweet or an email and tell me about it! I'd love to hear from you! I know this, because Tyler knows this.